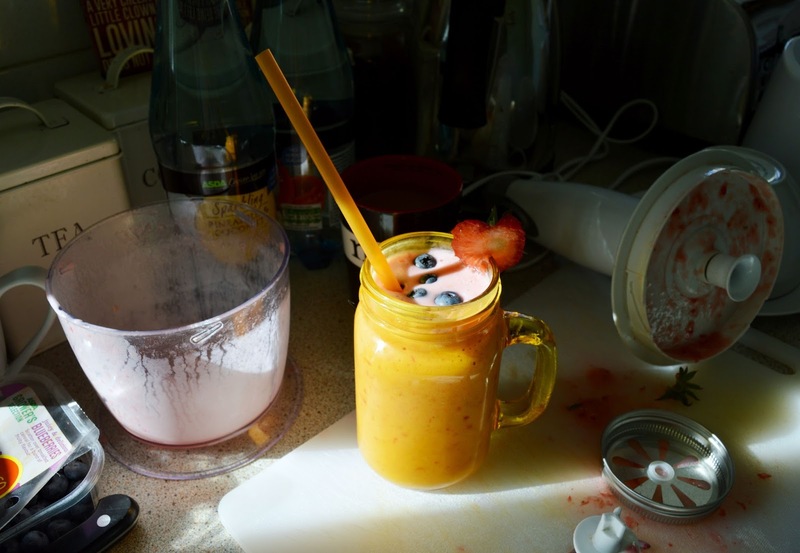 Ah smoothies. 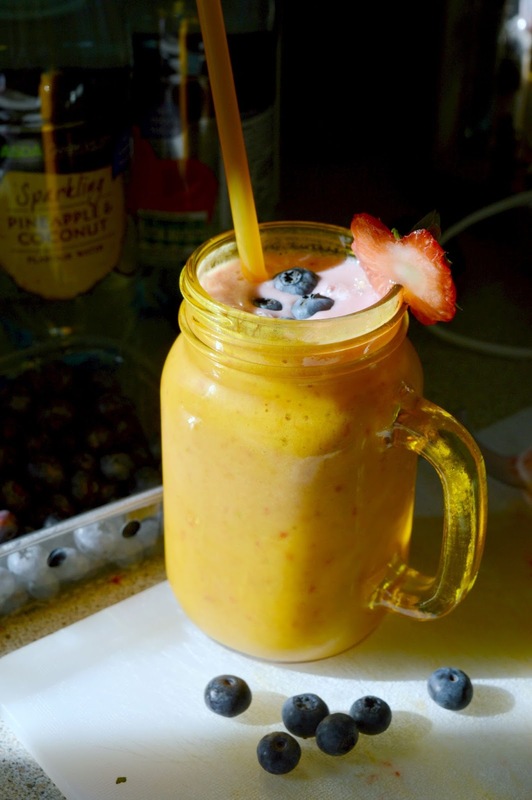 Sweet, sweet smoothies! Everyones favourite snack (or meal!) in summer, from breakfast smoothies to afternoon snacks, berries to bananas, there's always a recipe that everyone can enjoy. Often I don't follow recipe's and just throw in complimentary fruits but with this one I decided to plan a little more so that I can share it for you guys to enjoy. The recipe is simple and easily manipulated to your taste, so have fun and play around with some substitute ingredients for what you don't like or have. First of all, WASH DEM' FRUITS. 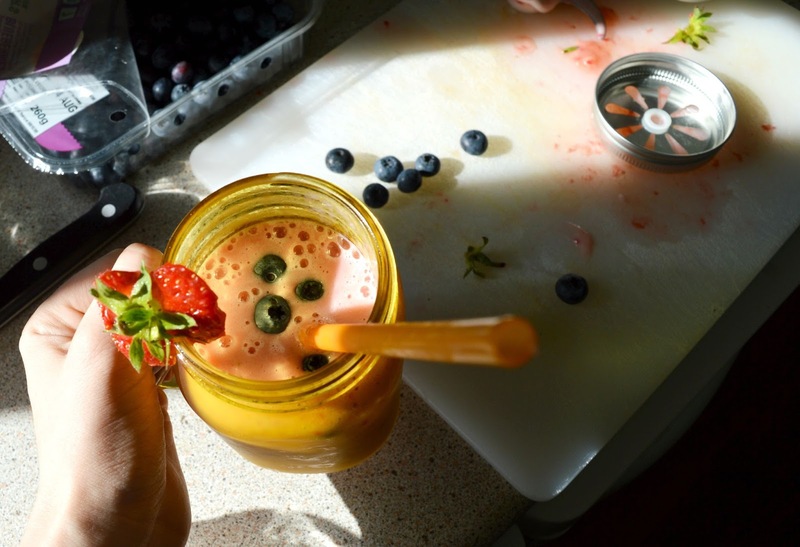 Run them under the cold water tap for a minute or so, just to make sure that none of the nasties like pesticides get into your lovely, tasty smoothie. Not to put you off, but I once found a caterpillar in a Spanish satsuma and it took me two years to eat one ever again. 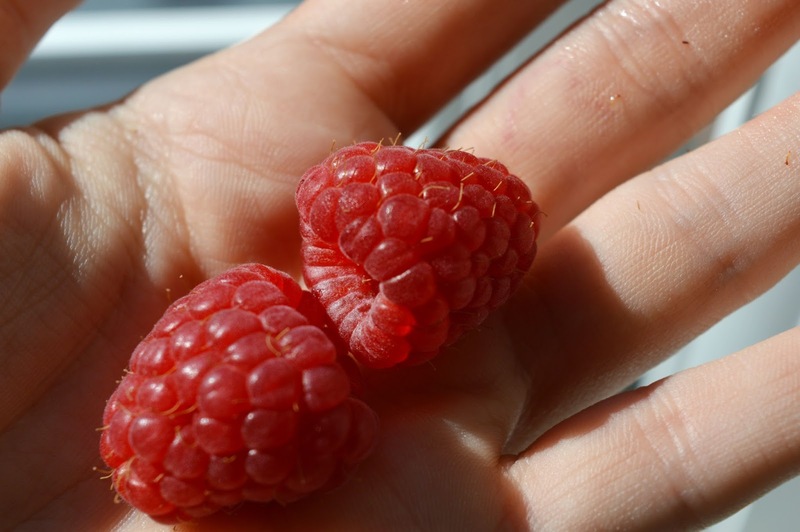 It helped to imagine it with tiny castanets, just trying to make friends instead of it eating my fruit. Then chop up the banana and put all of the fruit into your blender. 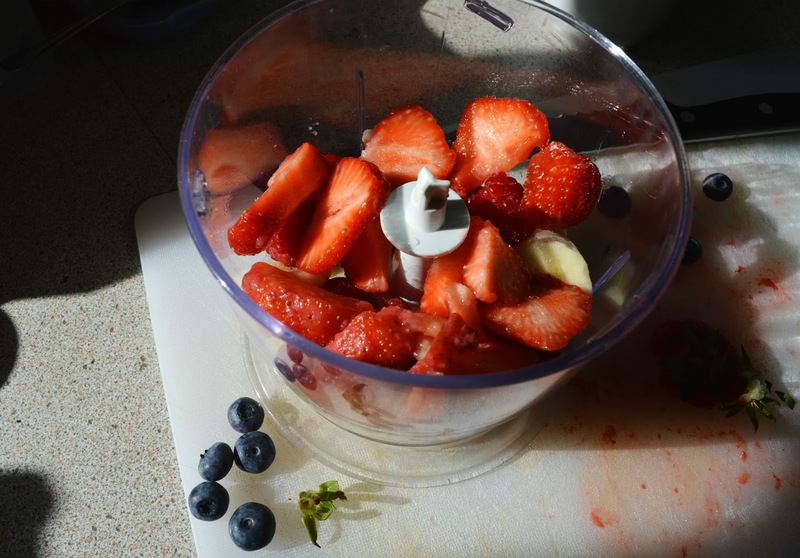 I like to blend the fruit first, then add some cooled green tea (or juice) and greek yoghurt to taste. It also makes the smoothie thicker and tastier! 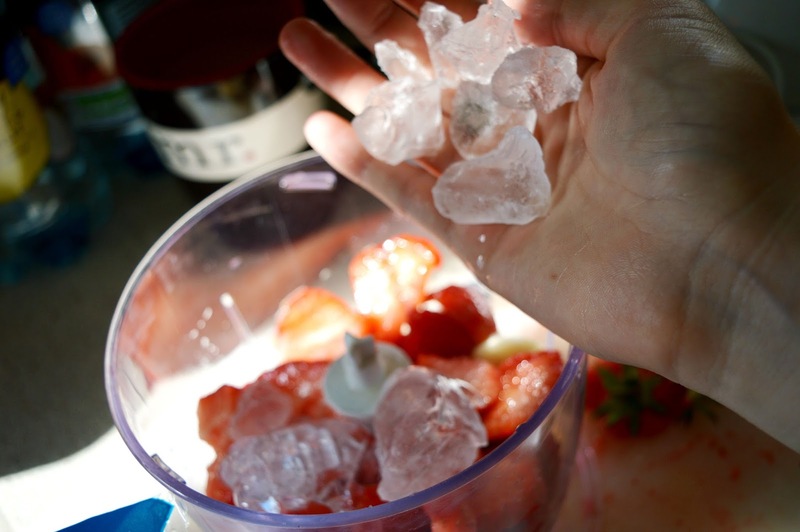 Drop in a handful of ice, because after all, it is summer then loudly blend it until there are no lumps. It's called a smoothie for a reason. Finally, enjoy! 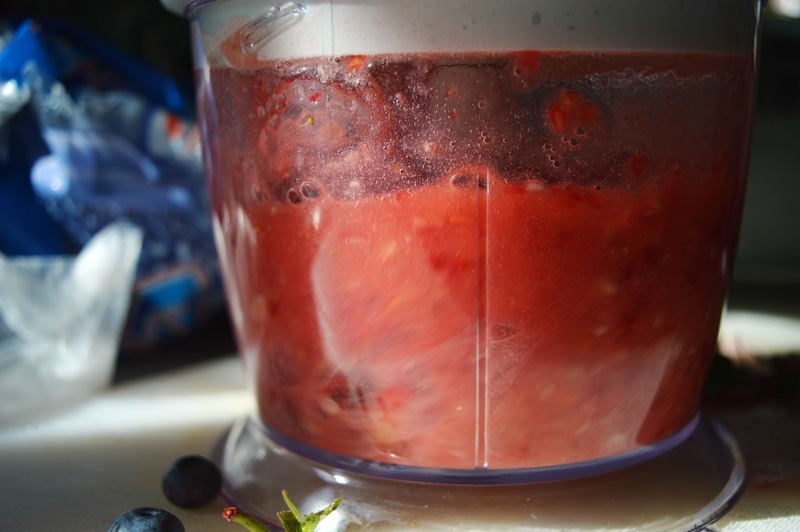 I used the blueberries for garnish as I'm not a fan of fruit skin in smoothies but they work either way. If you liked this, then you might also like my 3 ingredient scone recipe! Let me know if you liked this recipe! 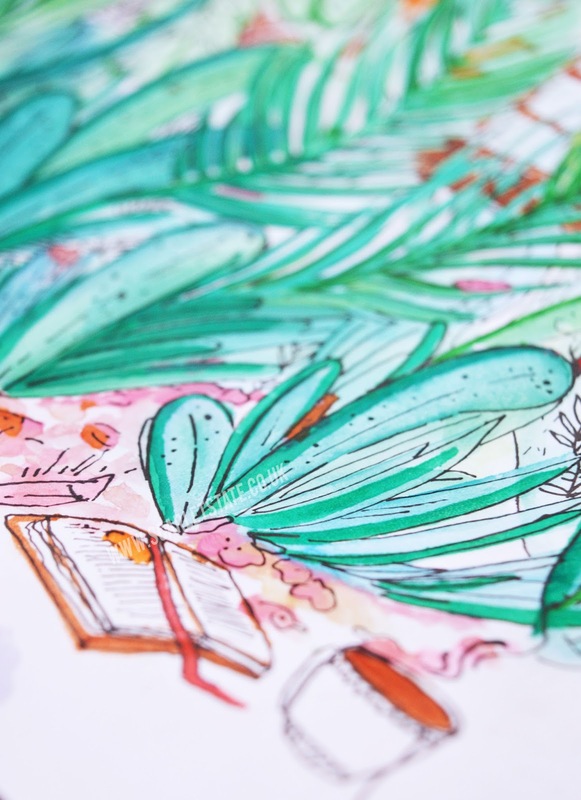 What's your favourite summer treat?